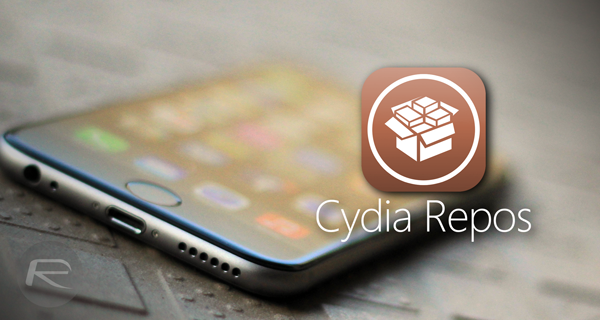 If you’ve jailbroken your shiny new iPhone or iPad using Pangu8 on iOS 8 / 8.1, and are looking for quality sources to download tweaks and apps from, then you’ve come to the right place, as we’ve compiled a list of 15 best sources from Cydia to fulfill your jailbreak needs. Before we even go further, it’s important to know how you’re going to add new sources / repos. Simply launch Cydia, then Sources, tap on Edit and then Add. A new pop-up will appear asking you to input the URL of a new source / repo, type it down and then tap on Add Source. It’s that simple. A top-notch repo if you’re into getting emulators and old school games onto your jailbroken iPhone. The repo offers a pretty decent collection and includes great titles like Duke Nukem. This repo is all about adding style and the wow element to your iPhone, thanks to its collection of tweaks like ScreenFade and Tap To Unlock. As the name indicates, this repo is the official mirror to get your hands on the iOS version of the famous XBMC server; arguably the best open-source media server for any platform. F.lux is one of the most radical tools that you can install on any device, be it a computer, smartphone, tablet etc. as it greatly improves display quality under different lighting conditions. Similar to desktop cleaning programs for Windows and OS X, iCleaner will remove all the junk, leftover files, broken links and the like from your iOS device. This nifty software has its own source, and you can get it all from Cydia. BiteSMS hardly needs any introduction for jailbreak users, and the team behind the SMS replacement app runs this beta repo to let users test new features before they become part of the stable version. Ryan Petrich’s official repo offers a lot of experimental and bold tweaks that you’d love to try out, and includes gems like Activator and Browser Chooser. If you don’t want to go for full-on apps like BiteSMS, then there are tweaks like Couria that make subtle yet useful changes to the native Messages app. Their beta repo works similar to BiteSMS’s beta, and can be added to Cydia right away. This one is primarily for advanced users, or at least with someone having basic familiarity with the command line. The repo is well maintained and offer powerful tweaks. The official repository for iLEX Rat that offers a number of useful tweaks that might require a slightly higher understanding of the jailbreak scenario. Much useful, nevertheless. The selection of tweaks on this repo includes titles Adrenaline and Siri Old Voice, to name a few. Personally, I think it should be a part of the default Cydia repos list, owing to its usefulness. A relatively less popular repo that offers tweaks and marvelous gems like JellyLockClock7 and Alarmy. The most notable tweak offered by this repository is AirBlue Enabler, which allows Bluetooth file sharing across iOS devices. The repo that officially supplies the KuaiDial tweak and its add-ons, which enables a smarter phone dialer app for your jailbroken iPhone. With the Apple Watch SpringBoard tweak, you can get what the name itself implies; the Apple Watch UI on your iPhone. The guy behind the repo has also uploaded neat tweaks apart from this one and is worth checking out. Anyone knows the fix for iphone getting into deep sleep when charged? Only happened after Yesterday, I dont know which tweak I installed that made it do that. Help anyone? Most of the urls are typed wrong you noob. Do you have Subtlelock ? It does that while charging your phone. The coolstar repo does not work for me, cydia gives error message, packages.gz is not reachable (404 – not found). Icleaner pro installed but disappeared in ios 8.1 iphone 5s…! Does anyone know why apps from the app store on my iPad Mini are not downloading or installing? I touch the ‘Get’ button and it just stays on the spinner. Grey icon on the home screen says Waiting. I know there was a problem similar to this in earlier versions of the Cydia Substrate that they fixed in October, but this is now v0.9.5101.. and I can’t seem to find anyone else online that seems to be having this problem now..
Couria will works on iOS 8?